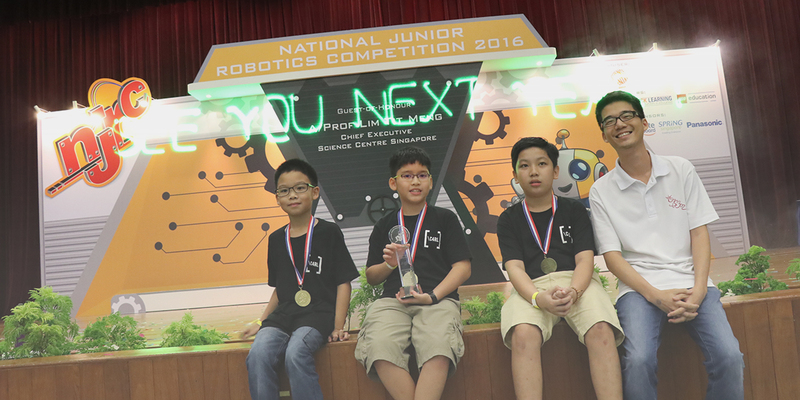 Here is a list of the major robotics competitions in Singapore through the year, from National Robotics Competition (NRC) to IDE Series. Updated Jan 2019. Email us at enquiry@nullspace.com.sg if you like to add your competition event here, or if there is an update to any of the following competition events. Jointly organised by the various polytechnics, ITEs and universities in Singapore. This competition involves higher-performance robotic systems, mainly created by tertiary students. As the events are challenging, they require dedicated research and development. Some examples of their events include Autonomous Underwater Robots and Legged Robot Marathon Race. The SRG is meant as a display to the public of what the tertiary students can do with robotics and a glimpse into the future generation commercially-available robots. As the local event leading up to FLL World Festival, FLL SG is one of the more prestigious LEGO robotics competition in Singapore. Organised by Duck Learning, FLL requires participants to collect points by accomplishing missions with their LEGO robots. The rules and mission are announced 5 months ahead of the competition, in step with the global competition event. Participants must strategise on how best to complete the most scoring missions within 2.5 minutes. In addition to the mission run, there is also a research and presentation component based on the competition theme for the year. IDE is organised by Nullspace Robotics. a national technology and engineering competition event. The aim of the competition is to challenge students on problem solving across domains such as electronics, programming, and mechanical design. There is a total of 6 different competition events in 2018, each event contains an unknown mission or challenge, which will be revealed at the start of the competition. These challenges vary from year to year, but the emphasis on innovativeness, design element and engineering remains at the heart of the competition. For LEGO Mindstorms, there are 3 competition categories: IDE Robotics (Surprise Mission), IDE Sprint (Line Tracing), IDE Mech Wars (Multi Player Real Time Strategy). This competition is organised by Rulang Primary School and is part of the RoboFest STEM Conference. The competition is carried out in a surprise mission format. Participants will have to build and program their LEGO robots to accomplish certain tasks within 3 to 4 hours. Jointly organised by Singapore Polytechnic and Science Centre Singapore. The competition consists of the Robo Soccer event and Robo Rescue to name a few. The Robo Soccer as the name alludes to, requires participants to build soccer robots to score points and defend their goal post. The Robo Rescue event requires participants to navigate obstacles like bumps, slopes and bottles. All in the bid to mimic rescue robots. All competition missions are revealed beforehand and robots can be built from any platforms. APYRC consists of many events like the Sumo Robot, Tug-of-War and Mission Programming. Most events are carried out in the knock out format. As the competition format is less demanding it is a good introductory competition for newcomers to the robotic competition scene. NRPC is a LEGO Robot competition similar to FLL. Participants must complete the numerous missions spread across the playfield within 2.5 minutes. They are able to change their attachments and programs once their robot returns to the start base. The focus of this competition is on strategising on how best to achieve multiple missions using the fewest attachments and runs. Organised by VJC, DSTA and DSO, this competition has 2 main events, the Exploration Challenge and the Autonomous Challenge. The Exploration Challenge requires participants to control 3 separate robots to complete a mission. Each team will have to build and prepare 3 robots either using LEGO Mindstorms or VEX platform. The Autonomous Challenge requires the robot to be pre-programmed to complete a challenge (e.g. scanning and shifting of cubes in a certain order). All missions and rules are released a few months before the competition date. As the challenge is significantly more difficult for LEGO based robots, it is advised to participate in this competition using the VEX platform. Organised by Science Centre Singapore and Duck Learning, NRC is the Singapore round of the World Robot Olympiad (WRO). This is another prestigious LEGO Robotics Competition where participants get sponsored to travel overseas to compete in the WRO if they manage to win the Championship Award or Best Robot Performance. The competition format is a single-run mission that requires the robot to complete a certain set of objectives to score points. The mission challenges are usually announced 5 to 6 months ahead of the competition date. Technically not a Singapore based competition, however Singapore students that perform well in NRC will get to represent the country in this international competition.